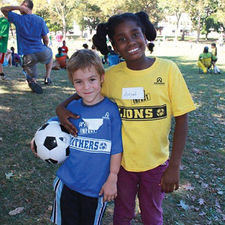 Since 1995, this has been focus of Urban Impact, an organization geared toward making a difference in the lives of urban, at-risk youth in Pittsburgh’s North Side by offering in-school and afterschool programs that meet their academic, physical, emotional, social and spiritual needs. “We believe that by meeting the needs of these children through educational, spiritual and physical programs, we can help provide hope to them in fulfilling their dreams,” explained Cindy Dell, assistant director of marketing and special events. “We want to help them figure out what they want to do with their lives after high school, whether it be the military, a job or a trade, further education or even the ministry.” Designed to serve kindergarteners through seniors in high school, the program has also helped kids through their college years as well. Urban Impact’s various programs engage youth in healthy activities and provide opportunities for personal and physical growth. “Through these programs, both in and out of school, we strive to provide children of all ages with the opportunity to succeed not only academically, but also through performing arts and athletics training,” shared Dell. 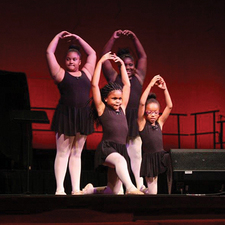 “Our arts program offers many avenues for kids with a more creative side through several choirs, as well as ballet, voice, mime and theater groups, including the summer Shakespeare performance. Urban Impact has served as a role model to more than 1,560 kids, and is seeing an increasing number as the economy continues to fluctuate and impact the community. “The need to serve and help is here right now, and our faith and determination continues to help guide us,” said Dell. For more information, or to get involved in this faith-based organization, call 412-321-3811 or visit www.uifpgh.org. Save the date for Urban Impact’s annual Christmas celebration featuring inspiring performances in song, music and dance.